Has HGTV's "Rehab Addict" Been Canceled? Nicole Curtis is a sweet-talking, hammer-swinging whirlwind. The Detroit native is a licensed Realtor and interior designer with a passion for restoring and preserving old houses. She uses her eclectic style to create high-end details on a budget. She shops discount stores, flea markets and reuse centers for interesting elements that give each restoration a personality as unique as her own. Now it’s one of the network’s highest-rated shows. Since HGTV added it to their prime-time lineup, it’s found an even wider audience of (somewhat rabid) fans. Where Are HGTV's Design Stars Now? Nicole Curtis is my she-ro. When I saw your headline this morning my heart sank until I read on a bit. Because I live in an old house and do much of its work myself on a limited budget, her shows are motivational and educational. Old houses DO hold memories and soul. I wish more ‘people in charge’ of properties adopted her attitude and beliefs. So glad to know this. She’s not only beautiful, she’s smart and she’s talented. Love her show. I never really connected with this host, but I love Amy Matthews and the “Renovation Raiders” team and concept! Any idea if it’s returning? I miss that show! Good to know! My DVR only picked up one episode in the last couple of months. Glad to know more are on the way. Glad the show is rated well. Love that she tries to save these homes. Although I think her kitchens are not always practical. Look forward to see new episodes. I love Rehab Addict and Nicole Curtis! I went to her website and left an email message saying how much I enjoyed her show, and how much I admire the work she does. A few month later I received a reply from Nicole herself, saying that she was sorry it took so long for a reply…that she was working on having her mom or someone else stay on top of emails. And, she thanked me for watching! It was a pleasant surprise to hear from her, I didn’t expect that because I know how busy she is. She is a class act for sure! That’s very cool that she wrote you back herself. Love that! I’m glad to hear this since it’s really the only home show I like. I love how she doesn’t try for a brand new look since it’s an old house, and re-uses old materials. I used to enjoy This Old House in the old days, but now it’s more like “This Old House that We’re Going to Totally Gut in Order to Use the Latest State-of-the-Art Building Materials Which We Will Shamelessly Plug”! Thank you! I could’ve totally written this – it’s exactly how I feel. I love how she restores an old house. I’ve been looking for an older house and so many that we look at have had the character remodeled right out of them. Used to love This Old House but you’re right – now it’s just plug plug plug. They’ve gotten so far away from the original concept that it’s sad! Love this show! I, too, get upset at the destruction and/or desecration (e.g., vinyl siding!) of old houses. In fact, I ripped all the asbestos shingles off my house. I like how she uses recycled furniture for her kitchens. Wish I’d had the nerve to do that with my kitchen reno. I love this show. I love in the opening credits she says “Why the hell would someone cover this up” I have it on my DVR. I’m glad it is continued. PHEW!!! We were looking for her show one recent Thursday and were bummed it wasn’t on. I really love the fact that she not just rehabs but also restores houses she’s working on. YEA!! do you know anything about any new Sarah Richardson, or Candace Olson shows??? I’m just not a fan of Love It or List It (personalities?) or the gazillion House Hunter episodes….I mean how many empty closets do we need to see, or 20 somethings buying a new house and have mile long “must have” lists that include granite counters and stainless steel appliances. I’m tired of whiny couples. I wish I knew where Sarah and Candice have disappeared to! I’ve been searching for that info for months, so if anyone knows anything, fill us in! Candice Olson doesn’t seem to have any kind of presence on social media, which makes it more difficult. According to IMDb.com, there haven’t been any new episodes of “Divine Design” since 2009 or “Candice Tells All” since 2011. She dropped out of “Design Star” last year (she was no longer on the judging panel), which leads me to believe she may be done with HGTV. It’s hard to know, though, since they leave all their hosts and show pages up on their website forever. Keep hoping she’ll come back with something new! Sarah is on HGTV Canada; we need to get HGTV US to air her shows. Wow!! Love the “whiny couples” designation. Candace was (is) lovely, talented, and easy on the ears but I found her style a little too “bling” for me but I loved her show. Sarah! What can you say about such a talented designer? I’ve been watching her since she started and can count on one hand how many rooms/houses I thought were “so/so”. Can we talk about Tommy? Does anyone remember when they were cooking Christmas Cookies and he broke her up with his escalator/staircase routine? I fell in love with Nicole Curtis from the first show. None of this “crasher” mentality. It is always about respecting the house, the history of the house, the former residents of the house, the neighborhood the house sits in. How cool is that? Sarah Richardson currently has a show running on HGTV Canada called “Real Potential”. Scripps needs to get that show and Sandra Rinomano’s show “Buy Herself” on HGTV USA pronto! I saw Candice Olsen speak at an Interior Designer’s conference in March and she was great! She talked about the TV show but didn’t mention any upcoming shows, but did mention her fabric collection (expensive and classy with a touch of whimsy, just like all of her work). Allison Victoria from Kitchen Crashers was there also plugging some Pinterest rip-off app she was involved with. She was also a great speaker and is teeny-tiny in real life. I also agree about Love It or List It. It’s soo forced and it’s the exact.same.episode.every time! Switch it up! Nicole is so inspiring. She’s honest about money concerns, she’s hardworking, and I LOVE that she thinks outside the box! Case in point- the 25th St bungalow. She turned the unfinished attic into the master retreat and put the little bathroom in an alcove, but didn’t wall it off. Not everybody’s choice but for that room and house it was just charming. Her kitchens, too, often break rules. I have learned from her love of power tools too. She’s positively gleeful about them! Nicole is a lovely young woman and such a hard worker. My husband and I both enjoy watching her show. It is great that she will be on another season. Did you ever find out what happened to the show Curb Appeal…we enjoyed that one, too? It’s strange because Curb Appeal still has an active Facebook page, but they don’t ever seem to mention the show on it. IMDb.com has the last season for it listed as 2012. I guess that means there aren’t any new episodes coming, but who knows? I wish HGTV made it easier to find out! Thanks for looking for the show, wish there were new episodes. They did such good work and gave us ideas for our garden. You probably know by now, there is another Curb Appeal coming on late this summer that will be hosted/refereed by Nicole Curtis and whose that guy who converts peoples basements into income producing apartments(?) I’ve seen it advertised but haven’t paid attention to the date. No, I hadn’t heard anything about that! Thanks for the info. Glad to hear it! I’m not a big fan of Nicole’s and wouldn’t miss the show if it was gone. I lived in Minneapolis and I do enjoy seeing the neighborhoods where she buys the homes. Fixer Upper is a little more design but it’s really just the same Property Brothers script. They just don’t seem to want regular old decorating shows anymore. I wish they gave us more ideas for redoing rooms on a budgets like they used show. I haven’t watched a lot of episodes but one I remember was when Nicole was restoring a fireplace and she hand painted each and every piece of the intricate design on the antique fireplace. I just couldn’t believe anyone could be that patient. She just sat cross legged and just painted away all day until night with her little brush. I though it was amazing! I love her show. Good to know it has been renewed. I am kind of getting tired of Property Bros and Love It or List It, too scripted for me. I like Fixer Upper alot but again very scripted. The one I miss is the HI/LOW. I loved that show. And where is Cari? What happened to Divine Design? Loved Candice. I love this show! So much so, that I will watch the re-runs an endless number of times. I don’t really know how “raw and real” it is, but it’s so much better than the others that are obviously fake. Oh, good I was wondering what happened to her show since I haven’t seen it for awhile. She’s one of the very few I like because she really works to bring back the past glory instead of gutting and getting all new modern stuff…she’s right in there scouring old rusty sinks and salvaging junk to re-use. The only other show I can stand to watch is “Junk Gypsies”…they also seem down to earth with fun bohemian style and again take junk and give it new life. I can’t wait for the new shows! Yes, it’s technically just another renovation show, but Nicole is so itty-bitty, it’s amazing to watch her tackle all the issues she faces and it makes me think, Hey, I bet *I* can do it…she makes it look easy and do-able. I’d probably fail miserably, but still it does inspire me. Now when I see other shows, like say, Property Brothers where they put in new HW floors on top of the old floor in an old house, I imagine Nicole freaking out since she’s always restoring the original floors. What about Design to Sell with Lisa LaPorta, I loved that show also and haven’t seen it in a long time. Yeah, I’m afraid “Designed to Sell” is long gone, along with Lisa LaPorta and Clive Pearse. According to IMDb.com, there haven’t been any new episodes since 2010. I really liked the first season of her show. It was different – a long-form chronicle of her working on projects. It was, as she said, “raw and real.” But then, as usual, HGTV converted later seasons into the usual HGTV fare — formatted like every single show on HGTV, with the big reveal at the end of each episode. HGTV pretty much ruined it, like they did with the Novogratzs, who had a terrific show on Bravo. As for Curtis herself, she did a chat on washingtonpost.com a couple years ago, and her answers to questions were 10 times more in depth and informative than the usual designers who do chats there. She was very impressive. Yes! 9 by Design on Bravo was so great! Home by Novogratz is just ho-hum. Thank you for researching this! I don’t have cable but I buy every season of Rehab Addict from Amazon as soon as it’s available – I’m addicted. I was happy to see this article! I, too, wondered where Rehab Addict went, and I’m glad there will be more. Nicole seems like such a great, hardworking person. I may not always want to live in the places she rehabs, but I definitely think they are beautiful! I enjoy hearing her thought process as she sorts out what I would normally consider an unsalvageable mess. So glad to hear that Rehab Addict has been renewed for another season. When Rehab Addict first began appearing on HGTV, I told my husband “There’s something really annoying about her voice. It’s her accent. I can’t put a finger on it, but her voice reminds me of someone.” And then I figured it out. It was me! LOL! I googled her, and sure enough, Detroit native. It explained everything! Bwa ha ha! When she got to the part in the intro where she says “Why in the hell would you cover this up?” that’s when my son said “Oh yeah, she does sound like you!” 😉 Love this show (and Fixer Upper). The two best shows on the network! I’ve recorded and stored just about every episode of Rehab Addict. Nicole and her ‘mission’ are refreshingly unique. With quotes like “Holy faggioli!’ and other spunky retorts, she’s hilarious. For her remarkable ‘vision’ in restoring historical architecture she deserves a medal. My own ‘addiction’ is writing, and I’m already mentally writing the Rehab Addict movie script. I’ve also chosen Reese Witherspoon to play the lead. She’s just right for the role. Of course there’ll be a ‘romantic interest’ in the form of a handsome ‘would be adversary’ who’s more interested ‘clearing lots for development’ than saving old houses. But, by the end she wraps him around her little finger. You pick the guy. 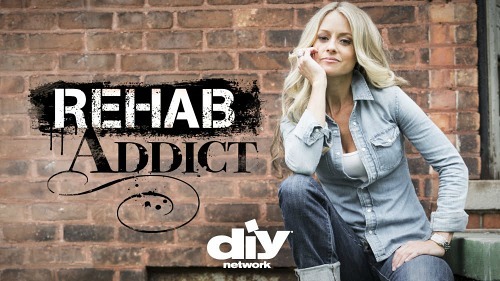 Nicole and Rehab Addict is comin’ back! Yay! Glad Nicole is going to do some more shows for us. Her work is the type of thing I wish we could see more of. 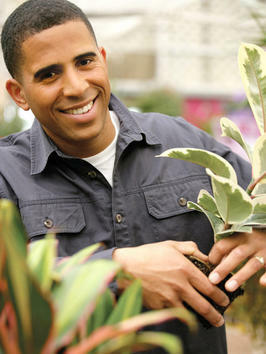 The shows that feature quickie yards and 3 hour remodels, etc. cannot help but have shoddy work. There’s no way round it. None of that with Nicole. She is much appreciated, and I hope you producers realize it.